« Dori Ostermiller: “Finding” time to write – as if! Barbara Keiler, who writes as Judith Arnold, will appear on the panel Not Your Grandmother’s Harlequin: Writing the 21st-Century Romance. 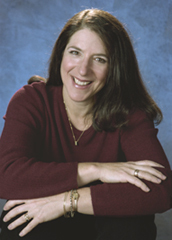 She is the author of over eighty-five novels, including LOOKING FOR LAURA, THE FIXER UPPER, and HOPE STREET. MEET ME IN MANHATTAN was released in September 2010. Tell our readers a little bit about yourself. When did you decide to embark upon a career in writing? Did someone or some event influence your choice in any way? I’ve been writing all my life. As a toddler, I loved bedtime stories, and my grandparents were both excellent storytellers. But sometimes they weren’t available to regale me with a bedside tale, and I had trouble falling asleep without a story. My older sister suggested I make up my own stories. By the time I was four, my sister had taught me how to read and write. I’m not sure exactly when I started putting my stories down on paper, but I still have a copy of a short story I wrote when I was six. Although I can’t remember a time when I wasn’t writing stories, pursuing a career as a writer didn’t occur to me until I won a playwriting contest my sophomore year of college. The award included a generous cash prize, and I thought, wow, I can make money with my writing! That was when I decided to turn my passion for writing into a profession. You’ve been a romance writer since the beginning. What is it you enjoy most about this genre? Actually, I came late to romance writing. Because of that contest I won in college, I wound up working as a playwright for about ten years. Several of my plays were produced at regional theaters as well as off-off Broadway. Fiction writing was my first love, however, and I eventually left the theater and returned to writing novels. My first few completed novels were “literary” fiction, but in 1982, eager for a way to earn some money with my writing, I began researching commercial genres of fiction. I read a few romance novels, loved them, and taught myself how to write them. I sold my first romance novel less than a year after I’d started reading them. What I love about the genre: 1) Romance novels are stories of female empowerment. The heroine is truly a heroine, not just an appendage or “love interest” for the hero. The story is her story. She drives the narrative. She is active instead of passive. 2) Romance novels are optimistic. They offer hope. They allow the reader the belief that, no matter how bleak a situation may seem, things can work out. The hero and heroine can wind up with a happy ending. 3) Romance novels are fun to read! You’re sitting on the Writing 21st-Century Romance panel at this year’s Write Angles Conference. Can you tell us a little bit about what you’re planning? I’m sharing the panel with two brilliantly talented writers, Linda Cardillo and Kristan Higgins. The three of us have decided to address three different skills necessary for writing commercial fiction. My talk will concern conflict — specifically, why conflict is necessary in a novel and how to use conflict to power the story and engage the reader. Kristan will be talking about character and Linda about scenes and settings. My new novel MEET ME IN MANHATTAN has just been released, I’ve been spending a great deal of my time promoting that book. I’ve also begun work on a new women’s-fiction comedy. I’ve always got a manuscript in progress. They can find me on my website. The publisher of MEET ME IN MANHATTAN also has information about me and my book. I’m a graduate of Smith College, and I’m really looking forward to returning to Pioneer Valley and spending a day on the Mt. Holyoke campus. I have wonderful memories of the years I spent in the Five College area. As for our panel discussion, Kristan, Linda, and I are going to rock! Come prepared to take notes and ask questions. I guarantee you’ll learn a lot.